After winning a competitive tender process, Merit became part of Hanson’s extended team – working together to coordinate everything from stakeholders to suppliers. Our brief was to take Hanson’s 40-year-old premise and reconfigure the design to accommodate their evolving operations, culture, and collaborative approach to business. All within a limited budget and without disrupting the workflow that continued during construction. From the beginning, Hanson established the strict parameters of their budget, challenging Merit to draw upon their creativity and industry connections to formulate solutions that would meet the company’s needs without compromising on quality. Reshaping a 900sqm (still operational) workspace while incorporating technological, functional and atmospheric features, on a limited budget, required all our expertise and a constant flow of communication and compromise with our client. In an established business such as our client’s, maintaining a strong culture and providing opportunities for staff to collaborate and connect was an important project goal. 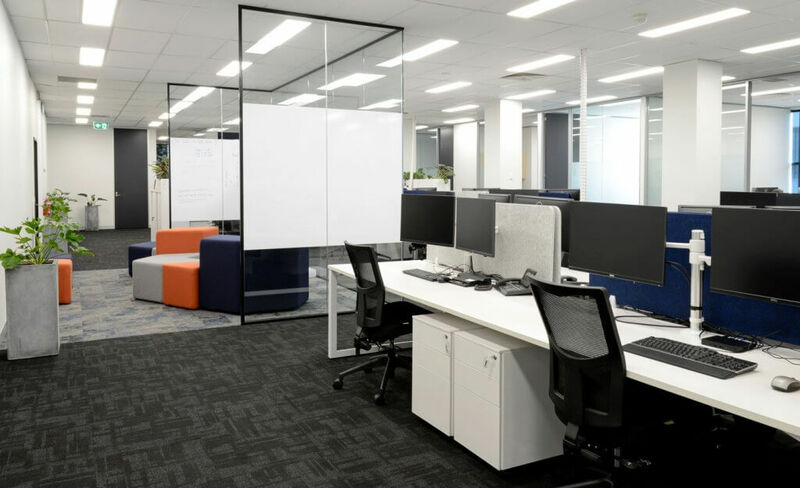 Hanson’s leadership group acknowledged the need for business-appropriate productivity zones and features to bring out the best in individual staff and organisation-wide morale. Hanson wanted their staff to have flexibility within their workspace – spaces for large meetings, small group collaborations, deep focus, and socialisation. We strategically designed productivity zones, quiet rooms and collaborative spaces to offer a variety of options within the mostly open plan office. The many seemingly minor details all contribute to the positive culture and cross-team connectivity the company was so keen to encourage. In light of Hanson’s product offering, we incorporated materials like concrete and steel into the design, offset with warm timber features and subtle use of brand colours. Throughout the office space, the Hanson brand colour palette is visible in the furniture selection, feature walls, and even within the carpet grain. Offering staff a range of seating options and ample space for socialising, the new kitchen design provides a practical, visually stunning space for people to connect within. 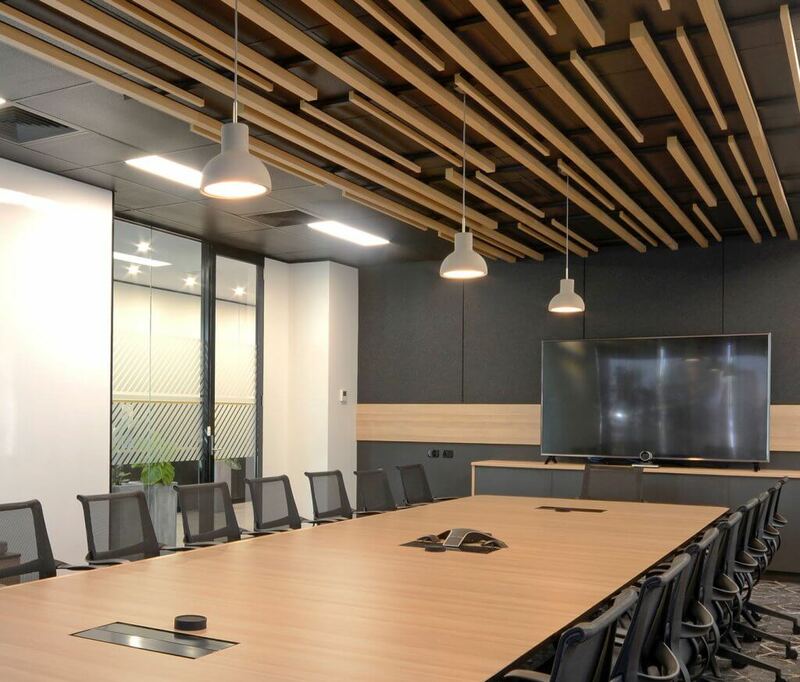 A combination of natural, pendants and downlights assisted in the creation of atmospheric zones that transition from high-energy meeting spaces to retreat-like focus areas. A combination of textures, patterns and materials further differentiate the zones and add an element of intrigue to the office environment. Merit managed various stakeholders leading up to and during the project management of the fitout. As many people and professions were involved in this project, we factored in additional communication opportunities, solutions negotiations, and consistent updates to keep everyone abreast of progress and to address challenges along the way. We listened to all points of view and provided innovative solutions and thoughtful advice as matters arose. ‘We had a lot of stakeholders that were really difficult to manage, Merit was really good at helping us manage those. I think all the time, went above and beyond dealing with groups of people some really easy to manage, some very challenging and they were able to add that personal touch for all those people and it didn’t always have to go the project management team, which made it a lot easier for me. As the video testimonial from our client confirms, Merit successfully transformed Hanson HQ from a standard office to a stand-out workplace through strategic planning and excellence in design, project management and implementation. 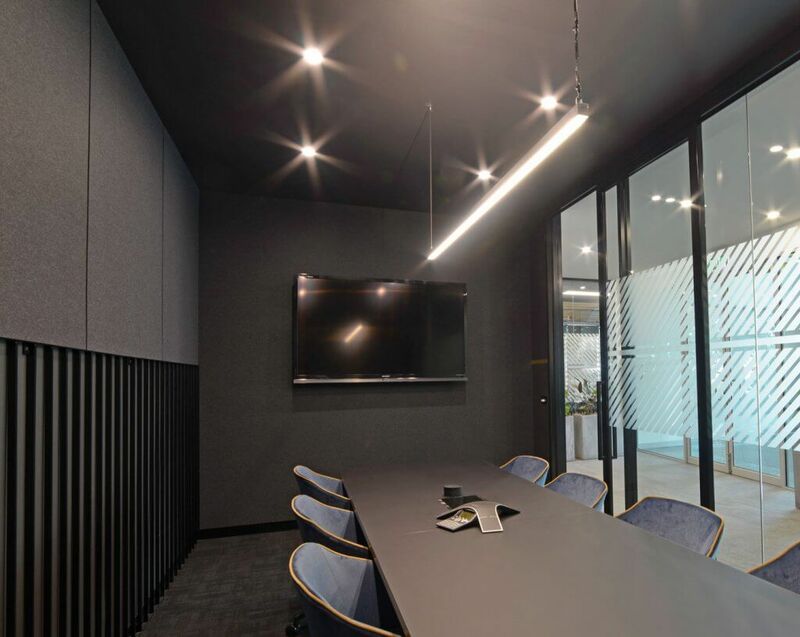 The savvy use of space, the creation of purpose-based zones, and vast improvements to the office aesthetic will all contribute to a better experience for staff and aide the organisation in achieving its goal of a more connected, cohesive workforce. Part of the Heidelberg Cement Group, Hanson employs over 59,000 people across five continents. Heidelberg Cement is a global leader in aggregates and has leading positions in cement, concrete and heavy building products.